Remember how you curled up in the fetal position in your bedroom corner last month after reading that Adele hinted she may never tour again (isn't that what everyone did)? 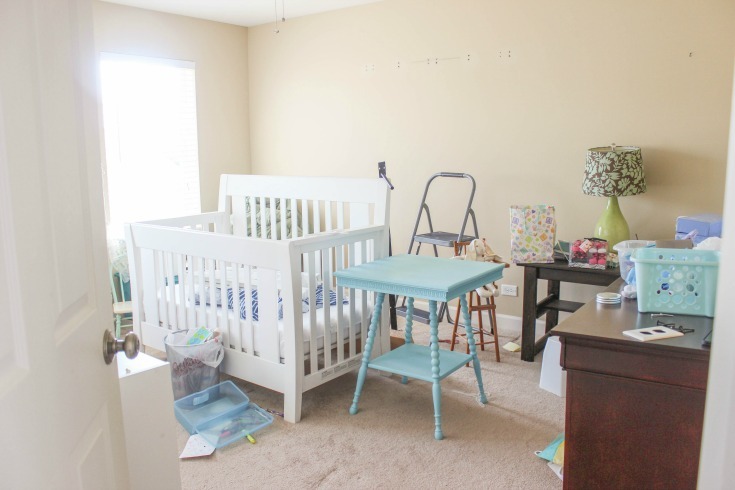 Well you may just feel the same when you see that today's post is full of pictures of a sad, pathetic room, but then again who doesn't love a good makeover? 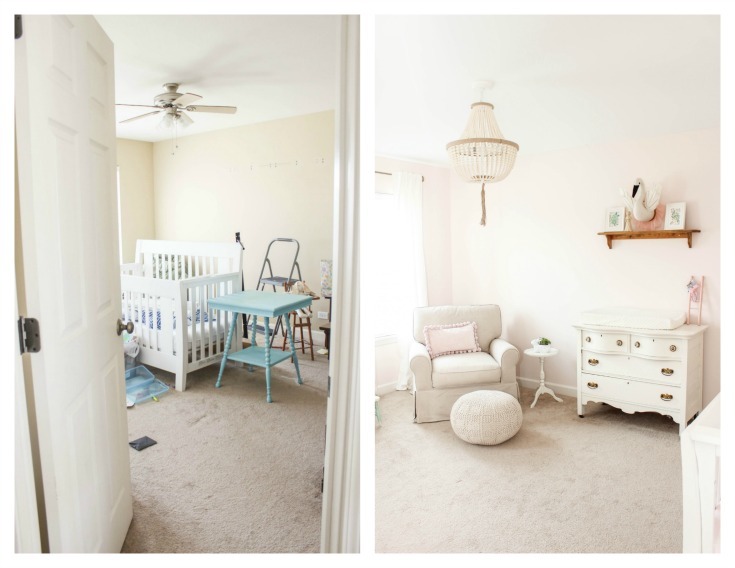 You see I realized I never shared the "before" pics of the guest room turned nursery and well, quite frankly, it's hard to appreciate a makeover if you've never seen one in their humble beginnings! 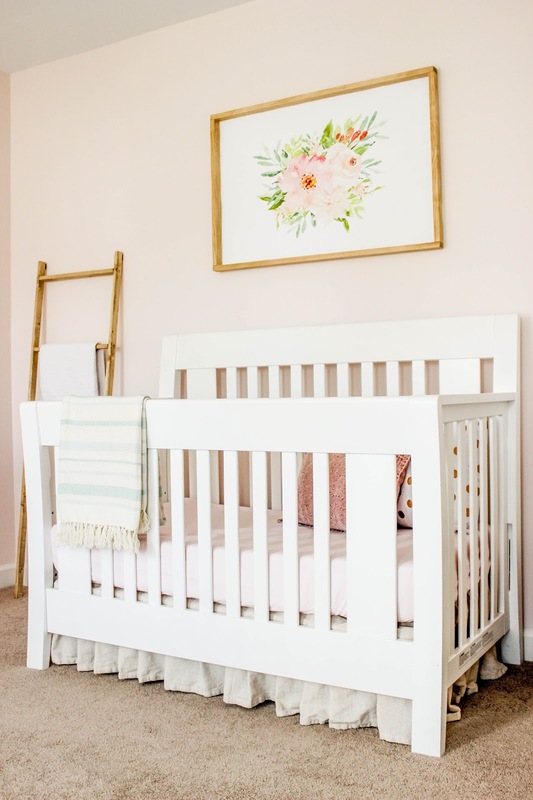 In case you missed it, you can check out the full blush pink nursery and it's room sources here. 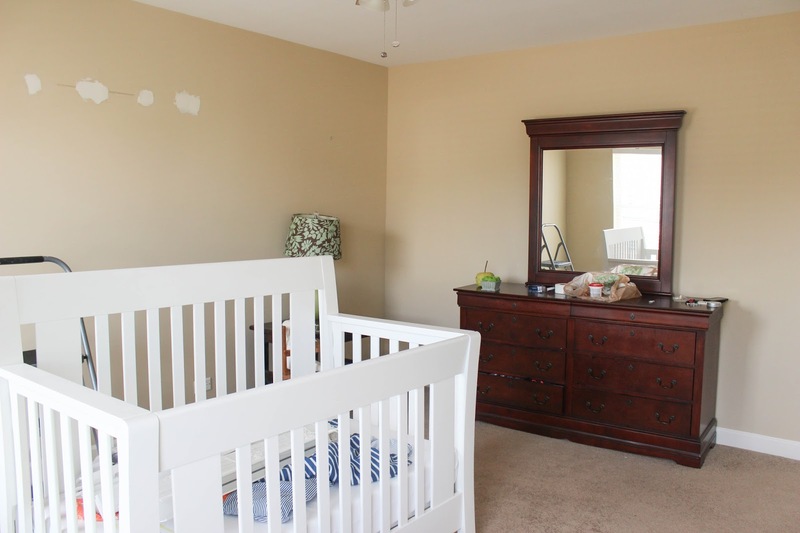 In the meantime, everyone say "hello" to this messy, uninspiring place we use to call a "guest room". In all fairness, these pictures were actually taken smack dab in the middle of trying to prepare for painters. The guest bed had already been removed and I was in the process of trying to clean out the room while finding storage space for the pieces (i.e. crib) that we were planning on using in the nursery. I mentioned that we called this the "guest room" but in all honestly it was actually our guest-room-slash-random-storage-room. Did guests sleep in here when they visited? Yes, but only if they could catapult themselves over the haphazard stack of boxes and thrift store furniture that use to take up real estate in here. The wall color was courtesy of the previous owners and it was EVERY WHERE when we first moved in. It wasn't horrible, but it wasn't great either. It kind of reminded of a bandaid. Okay, never mind, I guess that does sound pretty horrible. It actually looks a little better in pictures than it did in person. Needless to say, I was overjoyed when the walls finally got a coat of Sherwin Williams Intimate White. 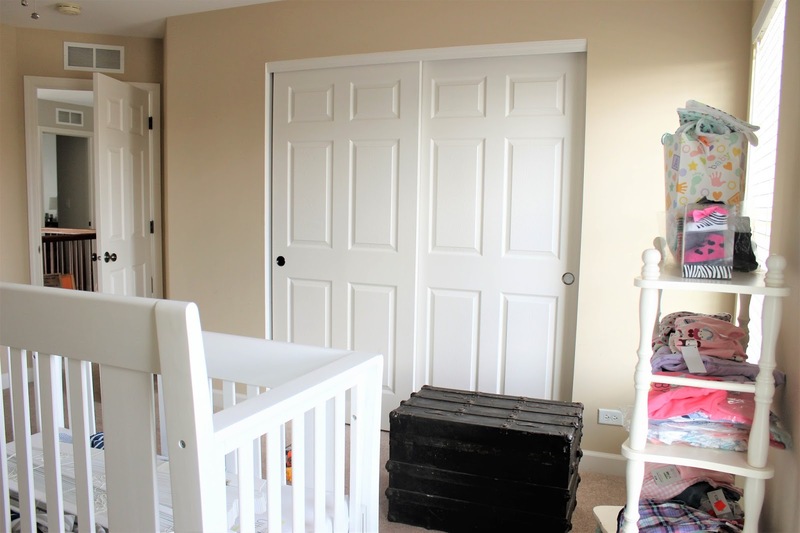 As you can see, there's not a drastic difference between the brightness of the two different paint colors, but boy do room accessories make a difference. And I guess having a clean room helps too! 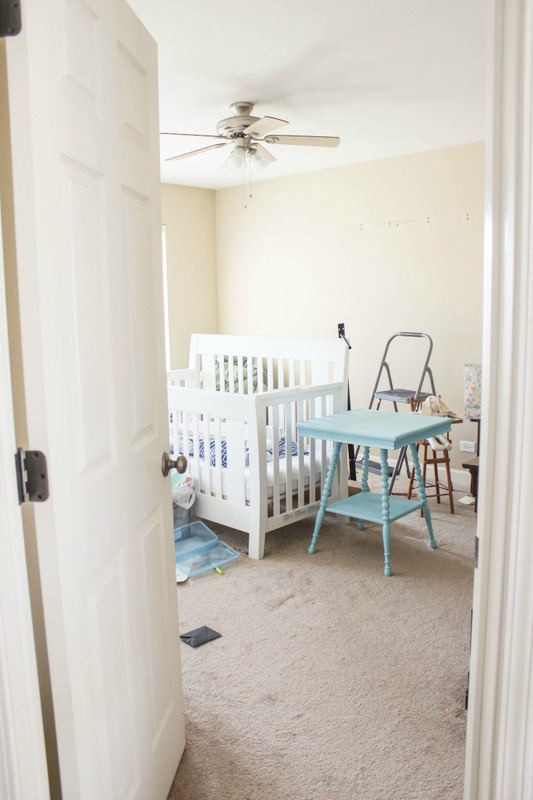 I didn't do a really good job at capturing the same angles for the other side of the room but the crib is where the dresser and mirror use to sit. 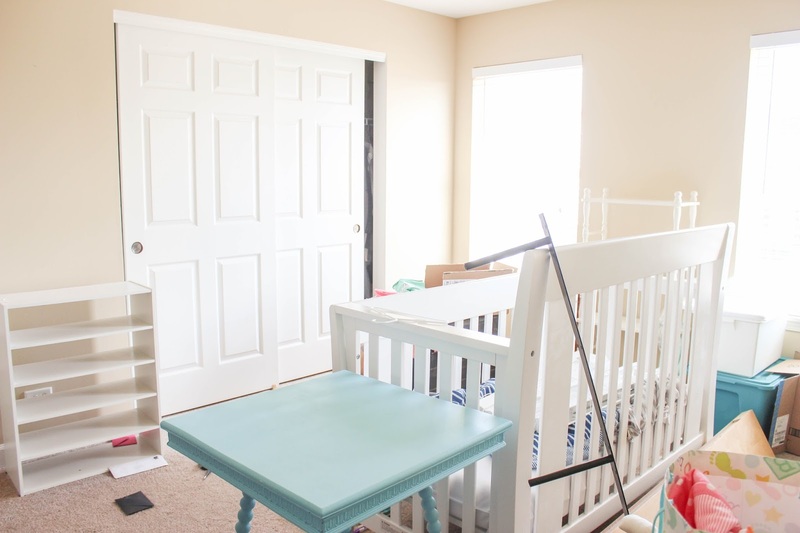 Here's the tutorial for the drop cloth bed skirt I made. 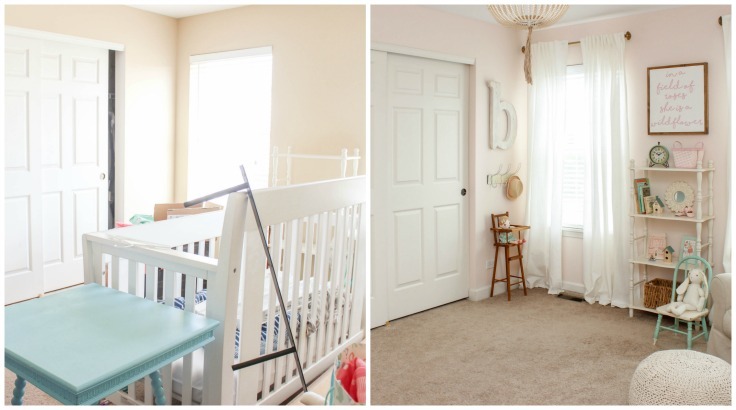 Don't forget to check out the full nursery reveal and tour! Thanks for stopping by today.